Just one more workout to go to complete the 12 week program. Tomorrow is a test day, but I’ve been replacing the test days with kettlebell workouts. I’ve done 4 workouts in a row without rest and it’s amazing how having a positive attitude can give you the energy to workout on days you’ll rather be elsewhere. Today, I did a new TRX movement that I haven’t done before. It’s a TRX hinge (single arm) to a push up with a clock press. As you start to hinge, you can feel your core fire and tighten up. Then as you move into a push up position, your free hand touches the ground and your other hand in the strap does a 3 O’Clock press as you perform the push up. Come back up and do a reverse hinge and complete for 10 reps each arm. Here’s a video without a clock press at the end. One more Week to go and I’m finally finished with the TRX program! Four more workouts to go. These last two weeks have been tough. 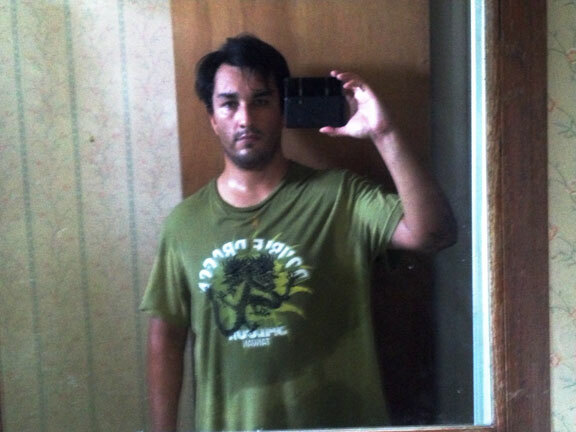 After I complete one of the movements in the workout, it is like earning one small victory. It’s a mental challenge to get through the workouts and so easy to syke yourself out and blow it off. Worse is half assing it with lackluster form just to plow through it. I’ve made it this far and I have to keep focus and approach the workout like I would punching in at a 9 to 5. All business, nothing personal. 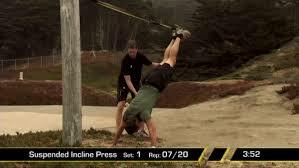 Hands down the toughest workout in the TRX Tactical Force Conditioning Book! Didn’t help that this was my third workout day in a row. As you can see, no part of your body get neglected. When it’s all said and done, you’ve just completed 6 total rounds of solid movements that develop your mobility, stability, and strength while adding speed and power challenges and improving your ability to do both. 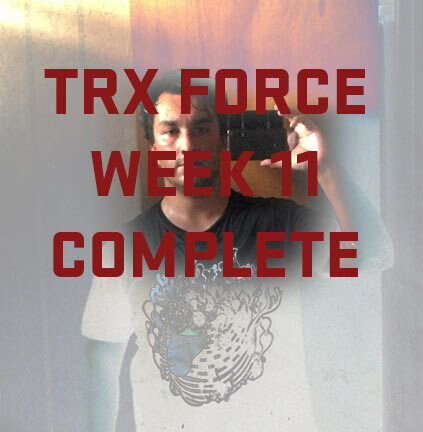 TRX Force: Week 10 – Complete! 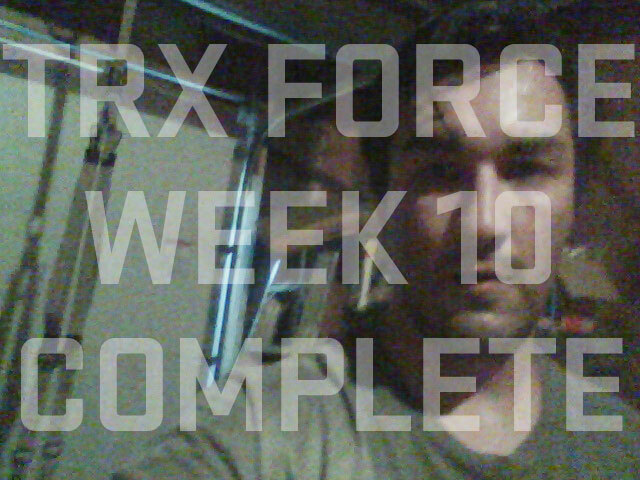 It’s the home stretch as I have 2 more weeks of the 12 Weeks TRX Tactical Force Conditioning Program left. I can honestly say that I haven’t missed one workout. I took a peak of the upcoming week’s exercises and they look challenging which is not surprising since I’m wrapping up the program. My focus for the upcoming week is to eat as clean as possible. I will also be bike riding to my new job for an extra workout to burn more calories. I’m into my last month of using the TRX Tactical Force Conditioning Program and I feel that all my intentions comes from my core. I have to give credit to the TRX as all movements start with a plank, firing up the core. I know this month is going to go by as a blur and I can’t wait to weight myself to see how much I’ve lost at the end of 12 weeks. Heading into my last week of month 2 before I start the last month of this 3 month program I’m most proud of not having skipped a workout and fallen behind. During my first round last year, I started falling behind around week 6 and it ended up taking 17 weeks to do a 12 week program. Much of that had to do with poor beer/food binging choices. My schedule was inconsistent and got in the way of taking advantage of this great program. Tips on how to stay consistent with a training program. What worked for me on this round was making the workout as enjoyable as possible. I’ve moved my boombox to the garage to move along with my favorite music to get pumped and motivated. 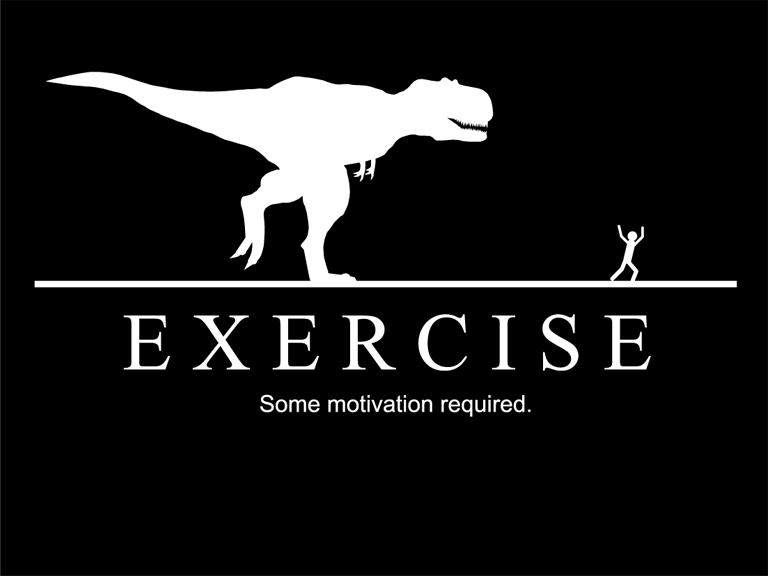 Also, planning the workout ahead of time. That way you don’t have to think about what to do but just concentrate on executing the movement/rep as best as you can. Last, is having a support group. Tell as many people as possible that you’re working out and what you’re doing to hold yourself accountable. This blog is my support group. 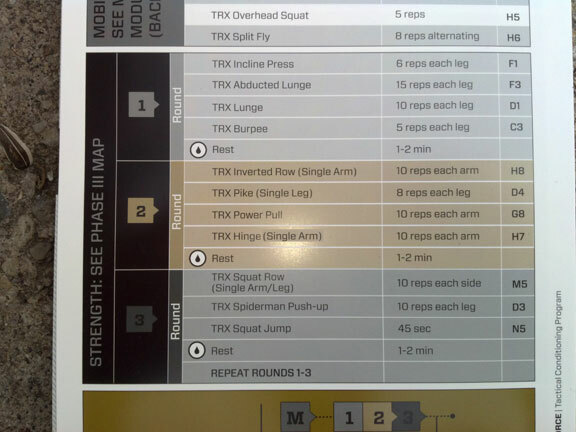 TRX Force: Week 5 Complete! I had a good week workout and diet wise and was able to complete my 5th week of the TRX program. Almost half way through. Those TRX Incline Presses are tough and today’s workout didn’t neglect the legs. Did 3 different leg exercises, 1 legged squats, 1 legged lunges and 1 legged abducted lunges. Planning a distance ride on my rest day next week on the road bike. Going for my longest ride this year, 70+ miles.